January 27, 2011  The day after his State of the Union address, President Obama headed to Wisconsin for a White House on Main Street event. It's a state that traditionally favors Democrats. Obama won it in 2008, but Republicans dominated in the last election. 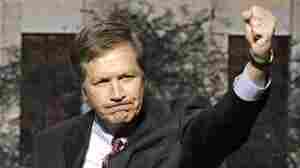 January 26, 2011  By mid-March, Ohio's new governor, John Kasich, has to find ways to account for a projected $8 billion budget shortfall. As he looks for cuts, nothing is off the table, he says, except tax hikes. "Get ready for an exciting time," Kasich says. January 25, 2011  President Obama is expected to lay out broad themes in tonight's State of the Union address, with the economy the primary focus. On Wednesday, the president will travel to Wisconsin, a state where Republicans swept all of the major races this past November. NPR's Don Gonyea talks to voters in Wisconsin about their feelings toward Obama, and what they hope to hear in Tuesday's State of the Union address. 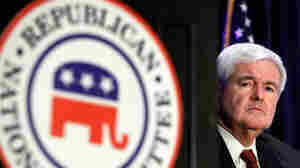 January 15, 2011  On Friday the Republican National Committee denied Chairman Michael Steele's bid for another term. Instead, the GOP's central committee elevated a little-known but highly regarded operative from Wisconsin who, in November's election, helped make that state one of the biggest success stories for Republicans in 2010. 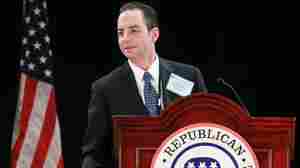 January 14, 2011  The chairman of the Republican National Committee faces four challengers in Friday's election, each promising to reverse fundraising troubles the RNC had during his tenure, and each pledging to avoid the steady stream of controversy that marked his two years as head of the GOP. January 6, 2011  David Schweikert represents Arizona's 5th district, which includes Tempe, Scottsdale and a huge swath of desert. The self-described debt hawk spent his first day in the Capitol juggling a jampacked schedule, from his swearing in to figuring out his new cappuccino machine. January 4, 2011  Republican National Committee Chairman Michael Steele defended his record at a debate Monday with four challengers who each hope to replace him. Steele's two-year tenure has been marked by controversy and fundraising troubles. He insists, however, that big GOP gains in November show he's doing his job well. January 3, 2011  Michael Steele's re-election as Republican National Committee chairman has been challenged by four rivals, and all five met in a debate Monday at the National Press Club. December 17, 2010  The Obama administration released its review of the Afghan war strategy Thursday. The administration pointed to military gains against the Taliban and al-Qaida. But the report acknowledges problems, including the ability of insurgents to escape the fighting in safe havens inside Pakistan. December 17, 2010  Members of the House have joined the Senate in approving a tax-cut deal agreed to by President Obama and Republicans. The legislation averts a January first increase in income taxes for millions and renews jobless benefits for the long-term unemployed. The bill includes a 2011 cut in Social Security taxes. December 16, 2010  For 40 years, Ivory Coast was a haven of peace and prosperity in West Africa. That reputation was dashed a decade ago with a military coup, followed by a disputed election and a rebellion that split the nation. Last month's presidential vote was meant to end the crises, but the post-electoral standoff has deepened the divisions. December 13, 2010  The investigation into the weekend bomb blasts in Sweden has expanded to Great Britain. Police have been searching a house in southern England, hunting for information about the man suspected of carrying out the attack in Stockholm. December 3, 2010  In last month's election, Latino voters again sided solidly with the Democrats. It's a trend that's increasingly worrisome to the GOP. Among several outreach efforts, former House Speaker Newt Gingrich has started a website, The Americano, which hosted a forum this week. December 2, 2010  Republican National Committee Chairman Michael Steele has had a rough year -- taking fire for weak fundraising and bookkeeping problems. Candidates are lining up to challenge Steele at the party's winter meeting next month. On Thursday, four of them appeared at a forum sponsored by a leading Tea Party group.